Welcome to the Trick or Treat Blog Hop! This blog hop will run from October 24th - October 31st. 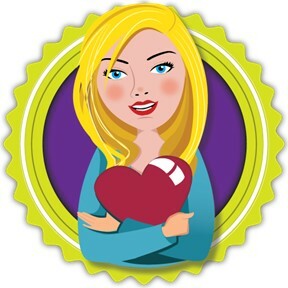 Each blogger will share a classroom tip (a trick) and have a freebie and a giveaway (a treat!). 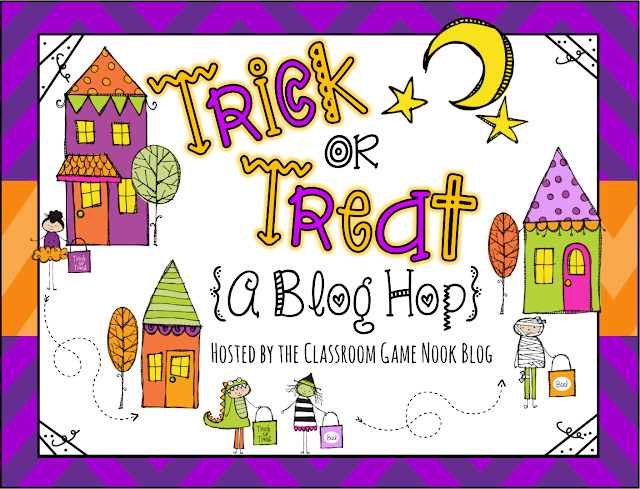 So after checking out this post, be sure to click the button to "hop" to the next blogger for more tricks and treats! One of the best "tricks" I have for hooking elementary students who are tuned out or just not interested in an activity is to bring in my Word Monster. "A what?" you might be asking. A Word Monster! Much like the Cookie Monster loves cookies, this friendly little guy LOVES words, letters, and everything reading and writing related. Don't tell my students, but Word Monster is actually just a small cardboard box (probably from Amazon) covered in blue paper, stamped with vowels, and has taped on googly eyes and teeth. Even with those humble orgins, Word Monster has taken on a life of his own. If students are struggling to focus, Word Monster might come over to watch them work. He's also up for listening to any story, especially when a student needs a reading buddy. Plus, he will eat anything with writing on it, but he has one rule: you must read him the letter/word/sentence/short passage before you feed it to him. Word Monster is a great motivator, especially for those students who don't love reading and writing. You can easily make your own Word Monster, or if you're brave, you could have your students each make their own monster! And for one of the best parts of Halloween: the treats! FREE during this Blog Hop only! Halloween Rhyming Words Cut & Paste (which comes with three different levels to easily differentiate instruction) will be FREE for this blog hop. Grab it between October 24th and October 31st 2015 and have some rhyming fun with your students. Along with this Halloween flash freebie, I'm holding a giveaway for the Community Helpers Activties and Centers pack (great any time of the year). Enter below for your chance to win! Community Helpers Activities & Centers Pack! Hop to the next blog! I wish I could motivate my high school students with a blue monster because it is an adorable idea. Love it.